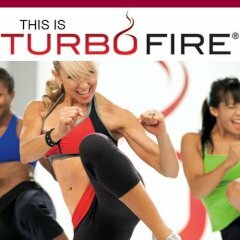 Healthy, Fit, and Focused: My Journey begins with TurboFire, Chalean Extreme and a New Focus! My Journey begins with TurboFire, Chalean Extreme and a New Focus! Well, it's been a little while since I've done an update like this about my current fitness program and journey in my own health and fitness. A lot has gone on and I haven't been ready to share, but...the time has come! I have been what feels like a bit of a yo-yo experience since before the first of the year. I've been struggling with some different things like, hormone imbalance, low thyroid, some weight gain and as you can imagine it's been very frustrating and really confusing for me! I've stayed very consistent with my exercise but have felt like nothing has changed for me with the way my clothes fit and the way I feel about myself. I've really struggled whether or not to share with my readers about this, but then realized that I owe it to you! I know that there are many of you out there struggling with various things like this too! Honestly, I think my symptoms are very mild. It's been probably a good 8-9 months that I've noticed my weight just not doing anything but slowly creep up. It didn't matter how strict I was with my nutrition (sometimes I was more strict than other times)! To be honest, I'm higher on the scale then I've been in a LONG time! (Now, I do not weigh myself often, maybe 4 times a month, but I notice most in my clothes). I will say though, that working out has positively contributed to me being able to stay where I'm at (with my weight for the most part) and it's helped the weight I have gained be proportioned evenly throughout my whole body. So, probably by someone just looking at me they wouldn't be able to notice too much, but I know how I FEEL in my clothes and that they feel tighter!! So, ya'll who struggle with this too...exercise really does make a difference even if it doesn't show in the scale! So I have been to a couple doctors, I've done some research on my own, I've looked at the medical route, the natural route, the essential oils route...everything! I am still testing out the waters some, but I do know my hormones are off, my thyroid is under active (fortunately it's mild right now) and I've found myself feeling emotional, lousy at times and just kind of blah and unmotivated. At the same time, I've been trying out something different with my fitness and nutrition. I'm still in the beginning stages of being a guinea pig on my own test...but I'll keep you updated on the progress. I've done some research on intermittent fasting and I'm giving it a shot! My fitness is changing up too! I wanted to really challenge myself more than I ever had. My mother-in-law has been doing Chalean Extreme for a months now and I'm loving her results and feeling the need to add in some weights in a new way! At the same time, I've been in a coach challenge group with some of my amazing teammates and I've been challenged by a few of them to do both Chalean Extreme and TurboFire!! I've never done either of these programs and have always wanted to. Honestly, I never wanted to move past the 30 minute workouts!!! I must say though...I'm LOVING it! I never thought I'd love doing 2 programs at once like this. But the combo of weights and high intensity cardio is amazing! Now, I won't continue this much for my workouts all the time, but right now it's a great change for me! I am really liking pushing myself this way!! If you're wondering what each of these programs are, Chalean Extreme is a great weight lifting fitness program and TurboFire is high intensity with lots of kickboxing! Super fun!! So...I'll keep you posted on my progress and my workouts! For now, I'm on day 4 of the programs and really enjoying the challenge! 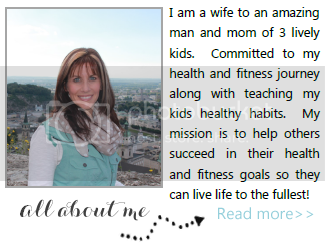 Interested in joining an upcoming Health/Fitness Accountability Group? Click here to fill out an application!